Foreign books, Series, Proceedings, Collected works, Table of logarithms, etc. Non Members Please contact a librarian. Members Please present the material at the circulation desk, along with your student ID or library card. Non Members Visitors must obtain a library card. Please contact the general counter, Central library or North library, Hokkaido university. The Mathematics Library has photocopiers. 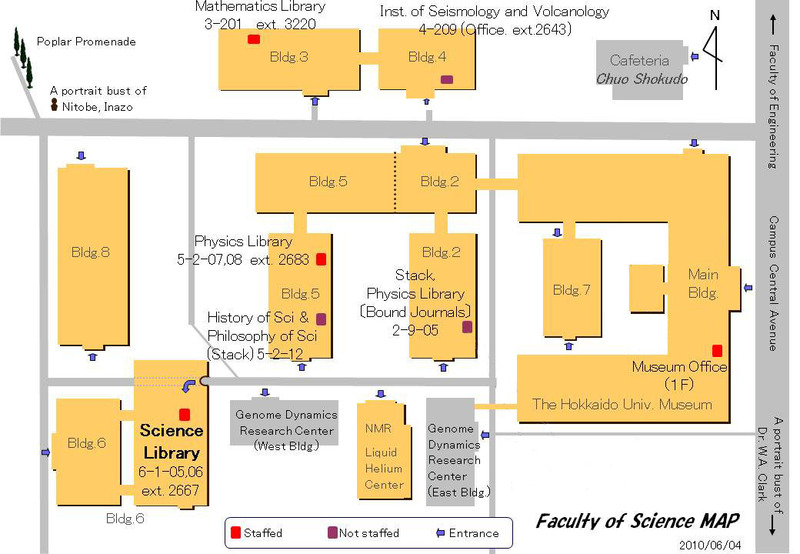 If you don't belong to the Mathematics Department, please bring "Fukushaki Shiyo Dempyo" (a slip for using photocopier) to the circulation desk. At private expense: Please borrow materials and use a pay photocopier outside. Saturdays, Sundays, National holidays, Year end and New Year holidays, etc.